For most people staying fit means being physically healthy. This is indeed a wrong notion as true fitness is incomplete without sound mental health. 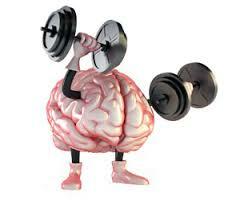 It is as important to exercise our brain regularly just like we do the physical workout. Several studies conducted by various scholars have pointed out that coordination physical activity and brain exercise are extremely helpful in reducing anxiety and depression in people. Another key result of such activities is the increase in the plasticity of the brain which means the ability of the brain to continue to develop and undergo required changes all throughout the life. It is owing to this unique process that individuals can grow and develop their mental capabilities all throughout their lives. Strategy games, be it the card games or board games, have always been considered as great brain simulators as they enable thinking in logical patterns. In the present times, we have computer games which give us an opportunity to challenge our cognitive functions. An important thing to keep in mind here is that you must not continue playing the same game for a long time. You must keep switching between different games with respect to the nature of the games and complexity levels. Relaxation techniques, if employed systematically, can help you combat stress. Merely sleeping well for a few hours is not enough to tackle stress. Natural relaxation process of the body needs to be triggered using special techniques. Deep breathing techniques, meditation, visualization, rhythmic exercises and yoga are some such techniques. These exercises are all about intentional stimulation of the brain for enhanced mental fitness and flexibility. Technically, a neurobic exercise means performing an ordinary work which involves the use of more than one of your senses at a time. Taking a shower with your eyes closed or using only visual cues while eating are two examples of neurobic training. This might require you to break routine habits, many times abruptly. The human brain continues growing all throughout a person's life. It has been found that even an 'old brain' can rewire itself and grow neurons or brain cells. Age-related memory loss is a result of lack of sufficient mental stimulation. Crossword puzzles, Sudoku, and other such mentally-demanding puzzles stimulate the brain and help improve brain function and check cognitive decline. These exercises are particularly helpful in improving the left brain function which uses logic, knows facts and is detail-oriented. Cardio training has proven to be very effective in upping the mental fitness levels. They improve mental health and check the fall of brain cells with age. They are a good way to prevent age-related memory loss like in the case of Alzheimer's disease.